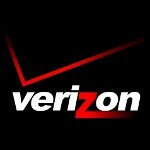 The nation's largest mobile carrier, Verizon, has agreed to sell some of its 700MHz spectrum to U.S. Cellular. Involved in the transaction is the Oklahoma City 700 MHz A block license covering Oklahoma City and 31 other counties within the state of Oklahoma which covers 1.9 million people. Terms of the purchase were not disclosed and the FCC must still sign off on the deal. Big Red has been on a selling spree with its 700MHz spectrum. 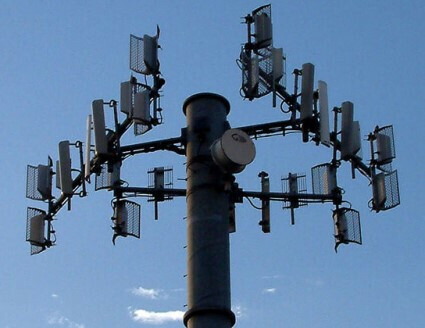 Since 2011, the operator has sold or has agreed to enter into a deal to sell 37 of its licenses dealing with the 700MHz spectrum. 11 different carriers have been on the other side of those transactions, including previous dealings with U.S. Cellular. To help get 4G LTE built out in rural areas, Verizon is leasing upper 700 MHz C-block spectrum to 20 rural operators. Verizon also has to sell some of its 700MHz spectrum as part of a deal it made with the FCC. The agency allowed Verizon to purchase some AWS spectrum from a group of cable operators with the condition that Verizon sell off some of its 700MHz pipeline. I hope Verizon starts treating their customers better because everyday, the other carriers get stronger and seem to be investing a lot more than Verizon. There will be no reason for cutomers to stay with an expensive service if they can get the same or better somewhere else. Maybe even pre-paid once it really takes off. Contracts will be a thing of the past. You need to understand why VZW are expensive, remember the superstorm and VZW still had connection when everyone else went down, they have battery back ups to power their main towers to keep their signal alive in such events, you are paying for that kind of stuff as well as signal that pretty much never drops. After folks in the area lost connection VZW had trucks out there allowing people to charge their phones no matter the provider. Sure they are expensive but they do give you excellent service and somethings you do not immediately see. If the other guys really step up their game and give VZW competition then probably they might lower their data rates considerable, right now it's highway robbery for smartphone data compared to a tablet which makes absolutely no sense. If you have one phone, it's around $90 with one gig of data and insurance. That's extremely expensive. Unless everyone else has VZW, how would you reconnect with your loved ones anyway. If you needed help, there might have been another way to communicate. On the data note, with one gig of data, that's hardly anything. I can use that up and more in about 5 minutes with their 4g service by simply downloading an APP. Although, that is not my only concern. They got rid of all their old customer incentives. They gave their old customers the only two options to upgrade. Get rid of unlimited data, or pay full price after being a loyal customer for two whole years. They are just too confident and expect their old customers to remain and pay $500+ or lose unlimited. I will never forget how I was treated with that company. I was such a good customer, I would double up on payments and they would offer me phones after only 7 months on contract. After the CEO made changes I wasn't offered squat, and I was fine with that, but instead they got rid of other cool stuff their old customers had. I was also treated like crap sometimes by their customer service after I was offered special offers through corporate on two occasions. The customer service reps are cocky and rude until I finally just told them to cancel my lines. Their attitude shifted and attempted to give me the world after that. So far, I have been treated absolutely amazing by Sprint. Sure, their service is nowhere near as good as Verizon, but it's not too bad. Just the data is pretty slow. I'm willing to live with it as long as I'm avoiding Verizon and their COCKY confident ways. I have not looked back even if their Razr line up have been my favorite phones.